Downhill House Hotel & Eagles Leisure Centre Mayo. 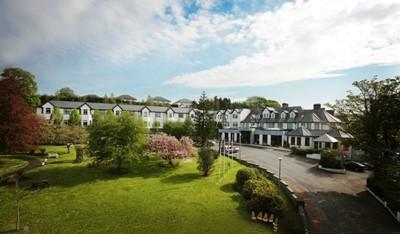 Hotel Accommodation in Ballina, County Mayo. 3 star Hotel Accommodation in Mayo, Ireland. Welcome to the Downhill House Hotel & Eagles Leisure Centre Mayo. Whether you are on a family holiday, business trip or romantic getaway, this unique property boasts plenty of style and personality to make your visit memorable. For more information or to check the availability of this Hotel in County Mayo please click on the availability link above and below. The Downhill House Hotel & Eagles Leisure Centre is in Ballina Mayo, Ireland. The address is Downhill Road, Ballina County Mayo.